World War II memorabilia was stolen from a house in Bognor Regis yesterday, according to police. 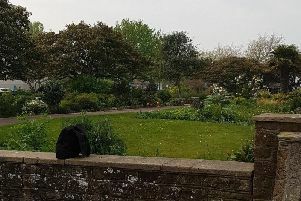 Thieves broke into the property in Silverston Avenue at around 3.30am and took two brown leather flying helmets and a black and white naval peaked cap among other items, police said. Anyone who was in the area at the time and may have seen something, or knows anything in relation to the whereabouts of the stolen items is asked to contact police. Email 101@sussex.pnn.police.uk or call 101 quoting serial 89 of 05/01.